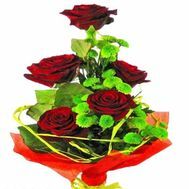 A bouquet is something without which it is difficult to imagine any holiday. 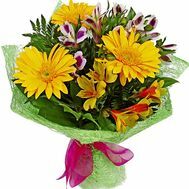 Flowers adorn the life of every person, bring warmth, comfort and happiness. 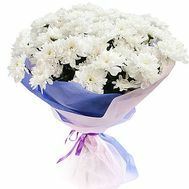 They will become a bright spot in gloomy everyday life, or they will add new colors to the already existing happy life. 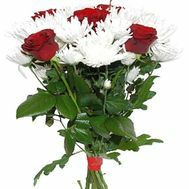 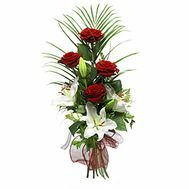 Nature has endowed us with a huge flower magnificence, which is now used in floristry and pleases the eye of everyone who is a frequent visitor in flower shops. 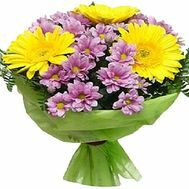 Everyone is pleased to receive as a gift not just words, but a huge bouquet made up by experienced florists of favorite colors and shades. 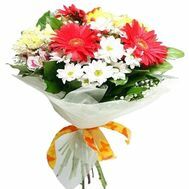 Buying bouquets in modern life has become much simpler. 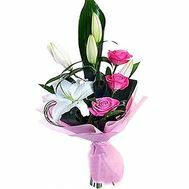 It is enough just to spend a few minutes, having issued an order on the site, and the courteous courier will deliver the order to any place you need. 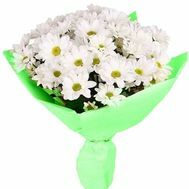 In our store you will find a large selection of fresh flowers from the newest supplies. 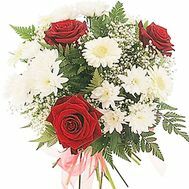 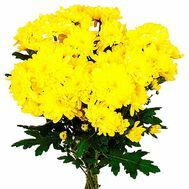 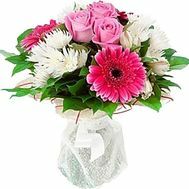 Here you can find even the largest bouquet of flowers possible, which can be safely added to the VIP category and which all women of Ukraine wish. 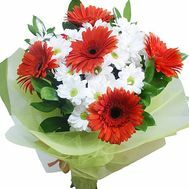 Also we can offer a bouquet of red flowers, white, pink and even rainbow! 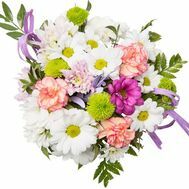 Mini-bouquet of flowers: a small bouquet of flowers is the most sought-after, because it bears the charm and tenderness that sometimes is not enough in ordinary life. 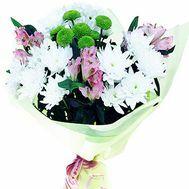 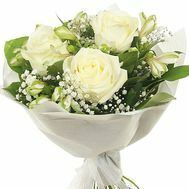 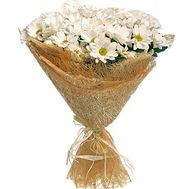 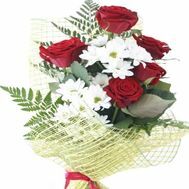 Bouquets of flowers have no restrictions: they can be given for any reasons and at any time convenient for you. 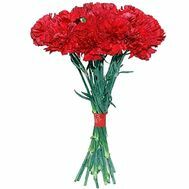 We offer flowers for the beloved on March 8: special gifts full of sensual pleasure. 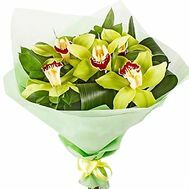 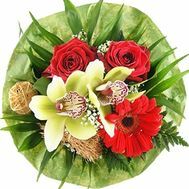 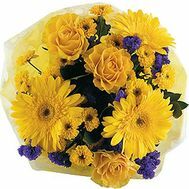 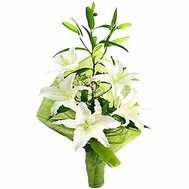 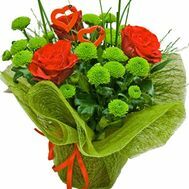 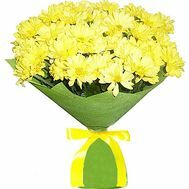 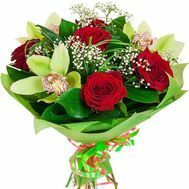 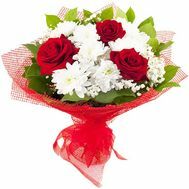 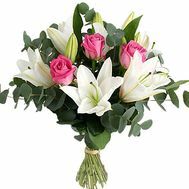 Also we can make a bouquet for your beloved woman for Birthday: lush, bright, attractive, which will attract all attention to yourself. 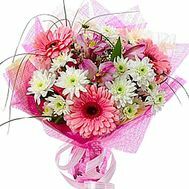 After all, beautiful birthday bouquets are what every person deserves, and we are ready to give you this. 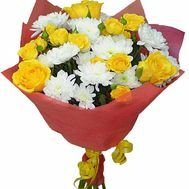 Also we can make an original bouquet on Birthday from different colors and decor, or arrange it in the form of a word, letter or even a smile. 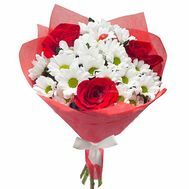 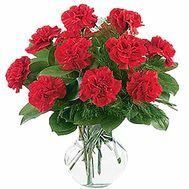 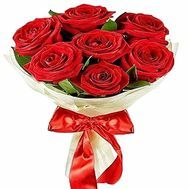 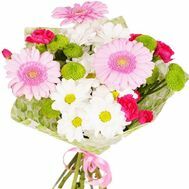 It is worth paying special attention to a bouquet of flowers for the mom for the anniversary - a subtle, gentle and touching that will tell those three main words that you usually forget to say. 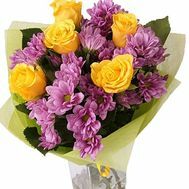 Our flower delivery is an occasion for pride and something that has already been appreciated by more than 20,000 customers. 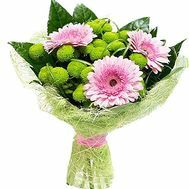 Their happy reviews you can read by yourself, as well as view the photo of the deliveries, on which they smile with our flowers. 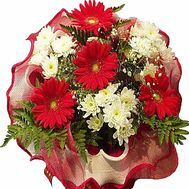 We have fast couriers and courteous consultants ready to fulfill any of your wishes. 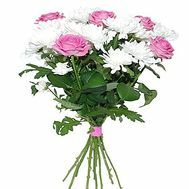 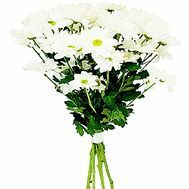 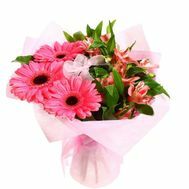 We also perform free delivery in large cities, so that their residents can save money and choose a bouquet more and brighter. 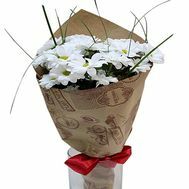 In addition, we can add a gift for your choice to order: delicious sweets, soft toys, balloons and much more that will make the holiday memorable. 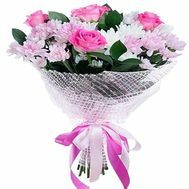 But the most pleasant bonus will be the shares that we hold. 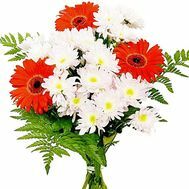 All this makes us your personal assistant and friend, because we know better than others how to bring happiness to every person!